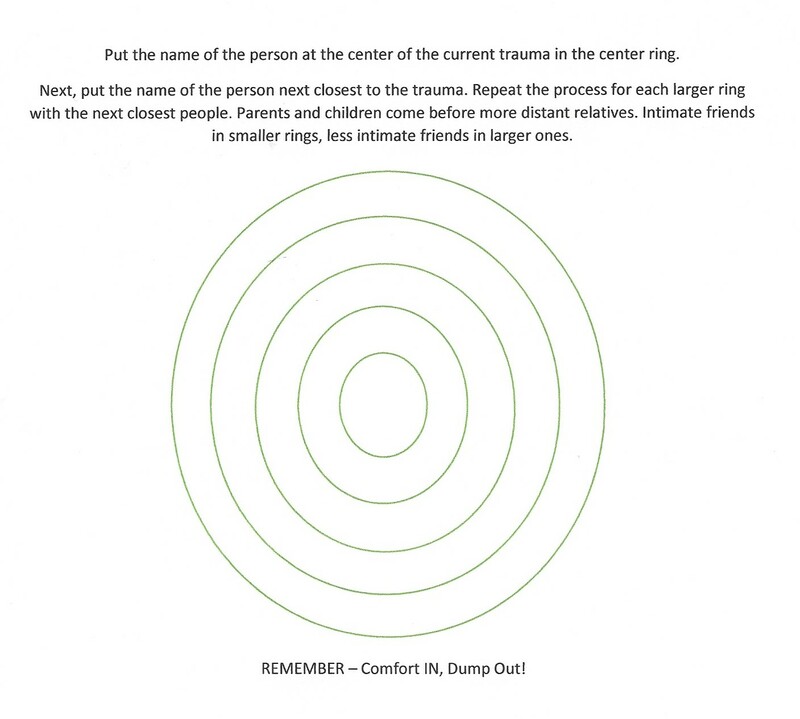 Comfort IN, Dump OUT – some sound advice! Let me just start by saying this needs to be shared by Everyone, Everywhere!!!! I ran across this article by Susan Silk and Barry Goldman, “How Not to Say the Wrong Thing” published in the L.A. Times, while searching for advice for caregivers. Boy do I wish I had found this years ago because I would have walked around with their “Ring Theory” taped to my forehead!!! I like this theory so much, I’ve actually made this picture for you to download, share and implement because it is so very true in all aspects of life! Comfort IN, Dump OUT!